Weighty Matters: Why Is GoodLife Fitness, Canada's Largest Fitness Chain, Selling Cookies? 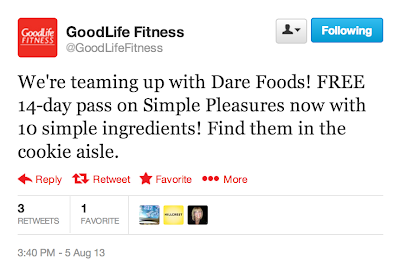 Why Is GoodLife Fitness, Canada's Largest Fitness Chain, Selling Cookies? 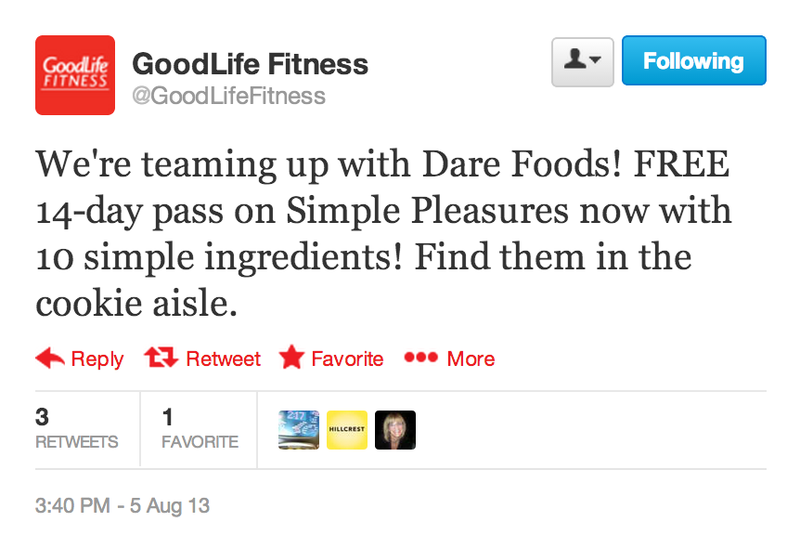 So GoodLife Fitness has decided to partner with Dare Foods whereby if you buy a package of Dare Foods' Simple Pleasure cookies, you get a free 14 day membership to GoodLife Fitness. As Bryan Brown rightly pointed out on Twitter, there are so many healthier products than cookies for GoodLife to partner with. Which of course is all fine and good, but does beg the question whether or not helping to sell cookies is included in GoodLife's mandate of helping Canadians to live a "fit and healthy good life"
Seems to me we as a nation we could probably use fewer reasons to buy cookies, not more, and that an outfit purported to care about health would know that.